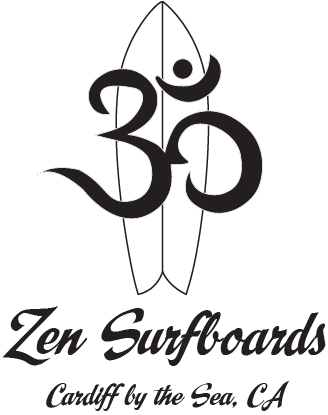 Set-up: Long traditional bonzer side fins with a True Ames bonzer center fin 6 3/4″ in box. Below is Scott Bass (Famous Surfer, Talk Show Host, Sacred Craft Innovator, Boardroom Show Executor and all around waterman) assessment of the Lo-Fi Bonzer. 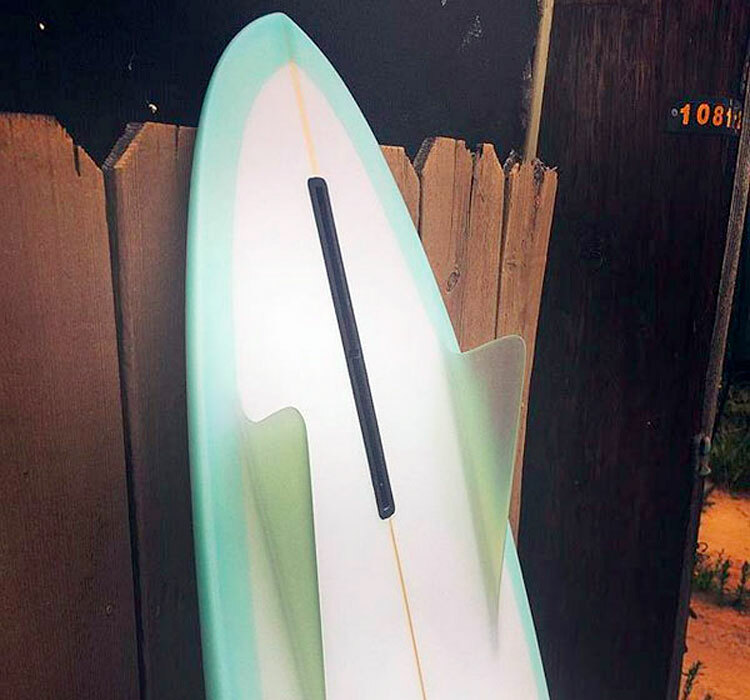 I had seen this board on an instagram post and was immediately drawn to the plane shape: wide point forward, a simple drawn out California round tail — a clean, pure, simple outline. Comfortable. That feeling when you sit in your living room with a carne asada burrito and a great sporting event on the big screen. That’s the way I feel about this wonderfully hand-shaped bonzer by Cal Schafer of Zen Surfboards. Reliable. Board placed under arm. The rail profile is full with a down-rail just slightly tucked. The rail feels fast. Instantly I’m reminded of the classic Hynson downrail – speed thrills. A relatively flat deck adds to the fast aesthetic. Looks good. Feels good. But how would it perform? I’ve surfed this board in fun waist high plus south swell at various locations including reefs and fast peeling beach break. The board is 6’3”, way too big for waist high waves, but it has performed exceptionally. Frankly I was concerned about all that fin area in smaller surf. I’ve been pleasantly surprised by its buttery release in small waves. Again, this board would fit into my winter quiver as a step-up for prime winter breaks in San Diego. 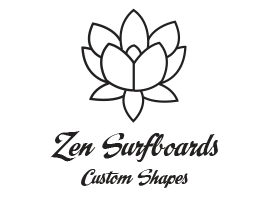 I’m anxiously waiting to get this board in solid surf. But alas, we are in summer surf doldrums. The good news is that based on its flawless performance so far, I know I’ll be able to count on this board. FYI I’ve been clearing out boards from the quiver, and although I don’t own this board, if I did, it would STAY! I’m a huge — capital H— fan.